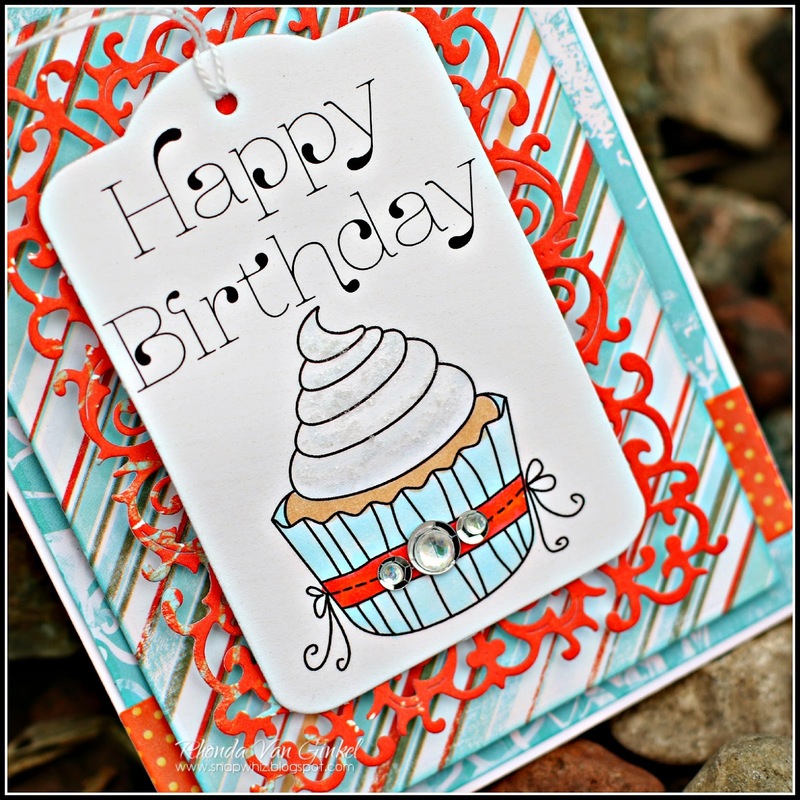 I have a very cheerful "Happy Birthday" card to share with you today featuring one of our Quotes Bundle sentiments and our new "Catalina Island" paper collection. I used one of my tag dies to cut the quote, then some of my Copic markers to color the cupcake image. A bit of Rock Candy Distress Stickles were added to the frosting to simulate sprinkled sugar. 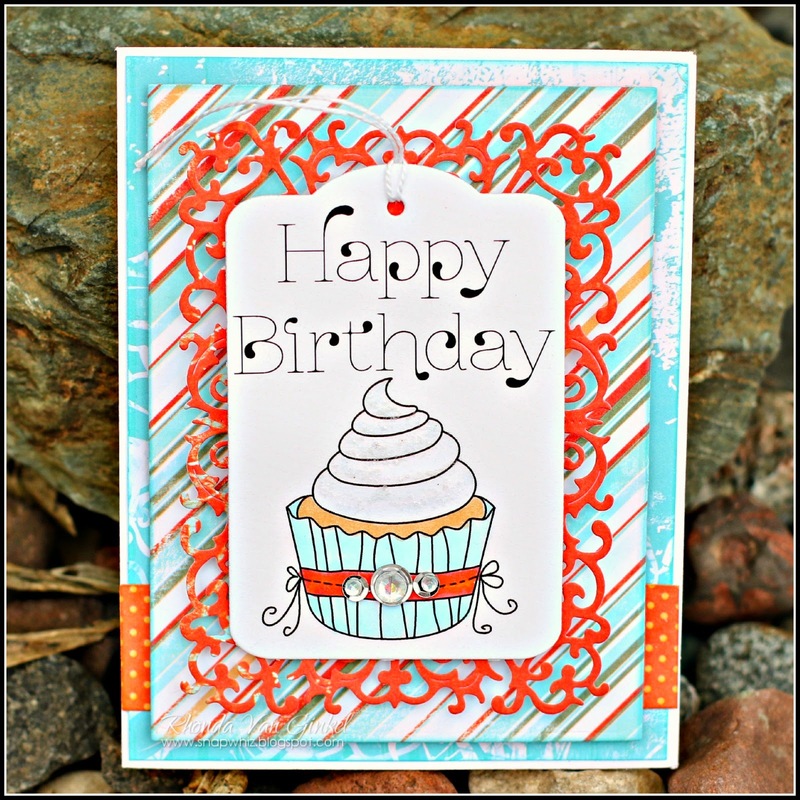 I love the bright and bold colors in this line and played with the patterns here in a very simple card design. A few sequins with gems finished the embellishment on my tag. Thanks so much for stopping on over to the blog today! Stay tuned for more projects featuring some of our newest paper collections. Rhonda, beautiful card! I loved all the die cuts and your design. Hugs!